Groundwater is a naturally occurring water supply that exists beneath the Earth that feeds into rivers, streams and lakes. It makes up approximately 20% of the Earth’s freshwater reserves and is an especially valuable source of water for arid and drought-prone locations. Western Australia and the Northern Territory are two areas that heavily rely on groundwater in Australia. Groundwater, whilst a fresh and rich supply of water that people can consume, is still vulnerable to contamination and pollution from outside forces. Groundwater contamination is one of the biggest causes of water pollution – which is why groundwater assessment is such an important process. 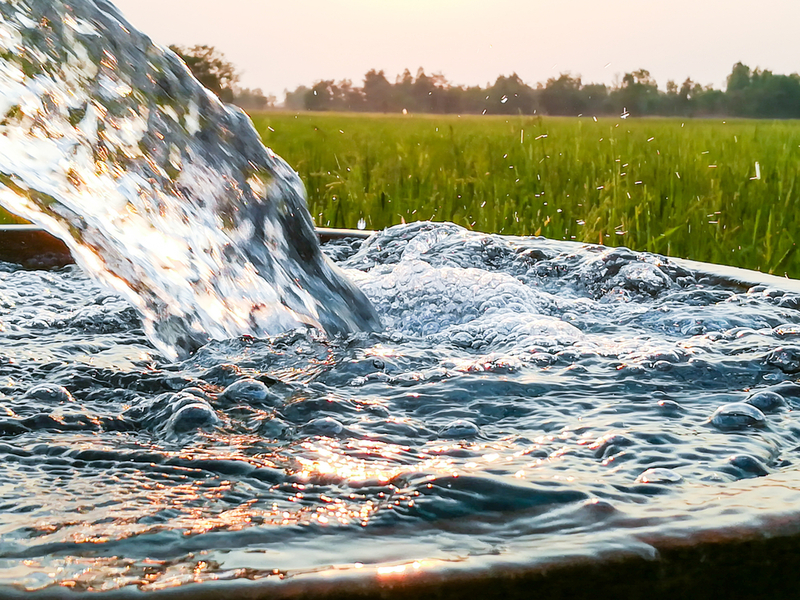 There are many different things that can pollute groundwater and in today’s blog, we’re going to have a look at ways to prevent such contamination. There are certain chemicals that are quite volatile and so harsh in their nature that they require special storage. Even if you do happen to know how to correctly store particular chemicals – such as arsenic – it’s not worth the risk that it may spill. It’s best to call a professional to come to your property if you need to use such chemicals. Pesticides are very similar. The fumes from pesticides can leak into groundwater if you use them in your house or yard. There is even a possibility that they may leak into your own water pipes, contaminating your own houses water supply. Whilst leaks can happen, it is important to stay on top of any problems your vehicle may experience and maintain it appropriately to reduce the chance of any petrol or oil leaks. Working on your vehicle in your own garage/driveway can lead to groundwater contamination as well as inevitably oil or petrol will leak during a tune-up and you will be unable to clean it from the ground. This is where it can seep into the ground or even be washed away to another water source. As you can imagine, your septic system can be a big part of polluting groundwater if not properly maintained. It is important to regularly check it and urge your council to do the same. If your house has a sewerage line that it doesn’t matter as the council will check and maintain that regularly anyway, but with septic system’s it is up to you to maintain them or find someone who can. So make sure to schedule regular check-ups to reduce the chance of contamination. Whilst this is really a common sense point, pet waste contaminants can seep through the ground and pollute groundwater, carrying with it a whole lot of bacteria. If you see any form of animal droppings then you should clean it up and dispose of it properly. Also, if you’re using manure and/or natural fertiliser in your garden then you should store them properly – in dry areas, on shelves and if they’re open packets then in large, air-tight sealed containers. If your pet passes away then do not bury it directly into the soil in your backyard as the bacteria will seep into the ground, affecting the groundwater stream. If you must bury your deceased pet in your backyard, then make sure to put them into some form of well-sealable container before burying them. Alternatively, you can contact your local vet for the best way of dealing with a deceased animal body. The biggest tip our groundwater assessment team can give you is to use less chemical based products. There are always natural alternatives nowadays. When it comes to household cleaning products, try to find some that are non-toxic. Alternatively, you can use natural substances such as baking Sosa, lemon juice and vinegar for an inexpensive and all natural alternative. The three R’s are probably something you’ve heard of before, they’re crucial steps in reducing groundwater contamination on a day-to-day basis. Reduce – Cut down on unnecessary items you may consume or use on a daily basis – for example, ride your bike to work instead of driving every day or take shorter showers. Reuse – Reusable plastic bags would be the best example to be used here, instead of using new ones every trip to the supermarket, keep the same ones to use every time. Recycle – Know which items are for waste and which ones are for recycling and dispose of them accordingly. Alpha Environmental offers comprehensive environmental and occupational hygiene solutions for commercial and residential environments. We also offer a wide variety of groundwater assessment related services. If you have any further questions or would like some more advice on cutting down on groundwater pollution, then please give us a call on 1300 039 181 or contact us through our website here.